I’ve still got pieces of it. We were there for the implosion and got pieces of it before their boss came out and stopped the workers from giving them away. 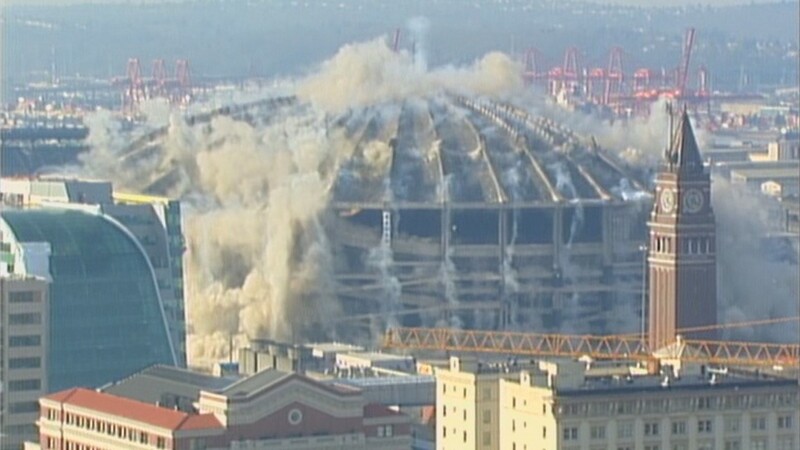 Ah, why did they stop people from getting chunks of the ‘Dome? County taxpayers paid for it — clear until 2015. As a railroad employee who had to go to work and go home from King Street station, I say “Good Riddance,” and good riddance to having to deal with arrogant Seattle cops who seemed to take pleasure and delight in preventing us from access to our place of work and livelihood, during dome events. Just sayin’. I spent many nights in the Kingdome taking photographs of the Mariners for the Associated Press. I’m sure there was a liability issue.